The Z345R offers unmatched quality, performance, and comfort along with exceptional maneuverability and trimming capability. With a heavy-duty frame, large tires, and convenient controls, the Z345R is an excellent value. 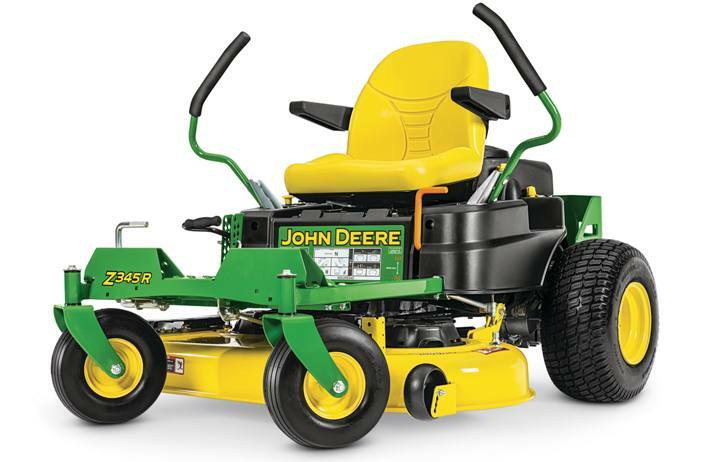 The Z345R takes on a wide variety of mowing jobs with a 42-in. Accel Deep™ Mower Deck that can side discharge, mulch, or collect grass and leaves with a convenient cut-and-throw rear bagger. The Accel Deep™ Mower Deck has a stamped-steel, deep, flat-top design that delivers excellent cut quality, productivity, cleanliness, durability, and versatility. Optimal performance and dispersion of clippings is provided, even at faster mowing speeds.